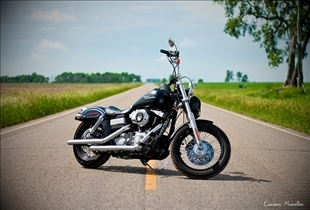 Harley Davidson, popularly known as Harley is one of the most renowned manufacturer of bikes based in America. Harley Davidson survived through many lows yet sustained a secure state and is one of market leaders in the bike manufacturing. The company is now dealing with most bikes with a 750 cc engine volume that are designed to suit cruising on highways. Honda on the other hand being from a Japanese manufacturer has the widest product range of all time. Their products have been attracting masses because of their affordability and durability. Honda's bike range is intended for people from different backgrounds. The basic product range is for people who intend to buy a bike for convenient movement around their workplaces and affordability is a big factor in their design. Honda's most complex products are for users for who want speed and power and for whom economy is of a lesser concern. High end users want bikes that run fast with high style. As explained earlier, Harley Davidson deals with 750 cc bikes but this does not mark the end of their product range. Over the span of a century, ever since Harley Davidson was formed, it has been creating variable volume engine specifications. As of now, Harley Davidson is doing business in three volume ranges, mainly: twin cam 96 with the engine capacity of 1584cc, twin cam 103 with the engine capacity of 1690cc and twin cam 110 with an engine volume of 1802cc. The smaller ranges of these bikes include Iron Head and Evolution with volumes ranging from 1000-1200 cc. Honda on the contrary has engine volumes for almost all walks of life. It ranges from a simple, light and compact 50cc bike to a sleek, stylish and supersonic 1800cc. Honda intends to suit the needs of people from different walks of life. 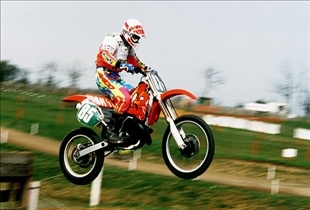 They not only manufacture bikes for users who are interested in driving through urban areas but have a distinct engine range for dirt bike racing. These engines are special engines with fuel injection to help overcome intense dirt exposure. In terms of financial revenues and annual generation, Honda is way ahead of Harley Davidson. Honda's wide product range helps it survive at a better ranking in the marketplace. In addition to this, their wide product range attracts mass markets to move towards Honda. On the contrary, the series that Harley Davidson has introduced into the market is exclusively for people fond of free cruising, limiting the scope of their consumer market. Harley Davidson is earning a lot of revenue due to its very renowned name in the United States in terms of manufacturing quality bikes for people with a distinct personality and taste. It is more like a craze to people in the United States and the logo is found almost everywhere in one way or the other. Once you have decided this, cross check it with the review above and see what bike suits you the best. Harley Davidson is exclusively for free cruising around highways with more comfort while Honda is mainly made for speed and style. Which motorcycle holds up best? Hmm... Honda has better comfort for cruising highways, and also for speed. I like to ride my bike and not spend time and money fixing it.